It is The Tico Times policy to conduct reviews anonymously. If we have reviewed your establishment and you disagree with our assessment, you are welcome to comment on the article, and if you wish, request a follow-up review. When my wife and I first arrived at Room2Board, one of the owners jogged down the walkway to pay our taxista, as he had promised on the phone. David Shonk was a friendly, middle-aged man, and although he lives in Atlanta, he happened to be visiting his new hostel and decided to check us in. Then he gave us a tour of the facility. The Tico Times reviews hotels anonymously, and the Room2Board staff had no idea that I had plans to review the place. When Shonk showed us around he seemed genuinely excited to show off the two-month-old hostel to a random couple. He led us to our private room, then he showed us the yoga studio that would one day double as a makeshift cinema. Finally we arrived on the rooftop patio. “This is the perfect place to watch sunsets,” said Shonk, gesturing to the beach and high rises of the Jacó skyline. “Sometimes people just come up here with beer and play music on the stereo.” He then asked if we wanted to join their pizza party later. We should sign up soon, he said, so that the hostel could prepare enough pies. It was clear that the Room2Board staff was giddy about its “boutique hostel,” and deservedly so: The place is well designed, sparklingly clean and a coconut’s toss from the beach. They have marketed themselves shrewdly – Room2Board caters to surfers and discriminating backpackers. The place is tucked into the southern end of Jacó’s beach, so no one would find its entrance by accident. The madcap nightlife of downtown Jacó is walkable, but it’s also a safe distance away. 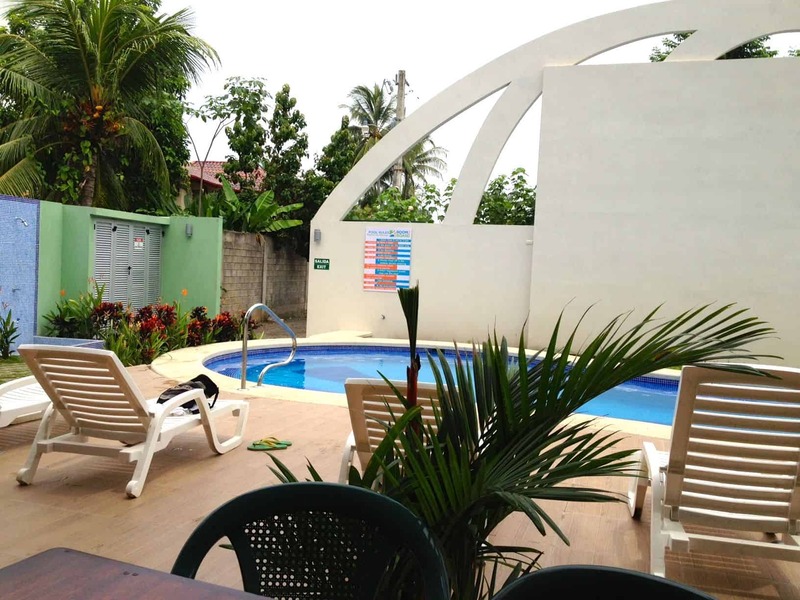 There’s a bar and pool, and you can sign up for any surf lesson or jungle tour imaginable. The bar closed by 10 p.m., and some folks headed into town to get their party on, while others crowded around a balcony table to play cards. The evening was, in a word, tranquila. On its surface, Room2Board doesn’t look like a hostel. Instead of renovating an old building – a routine practice – the owners built the hostel from the ground up. The concrete buttresses that support the structure are curved like fiddlehead ferns. The reception desk looks more like the entrance to a spa. 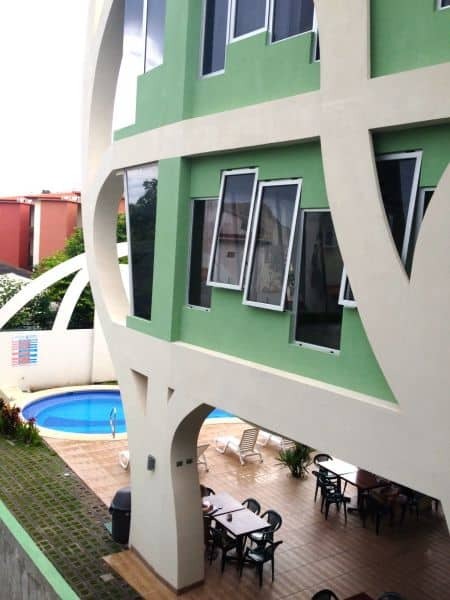 The place looks smooth and modern, a far cry from the dusty and dog-eared hostel you may have visited in New York or Milan, where you likely dodged a prostitute and contracted bedbugs. At the same time, Room2Board is a work in progress, and the place is still figuring itself out. The multipurpose room on the second floor is generally empty, except for recurring yoga sessions, and management has high hopes for this voluminous space. The rooftop bar hasn’t yet picked up. The hostel is so new that many taxistas have never heard of it. Just one word of advice: hammocks. No tropical hostel is complete without them. Room2Board is located on the south end of Jacó. Take Pastor Díaz Avenue (the main drag) south toward Hermosa, take a right onto Calle Morales, then continue to the beach. Take a left at the beach and then your first left. 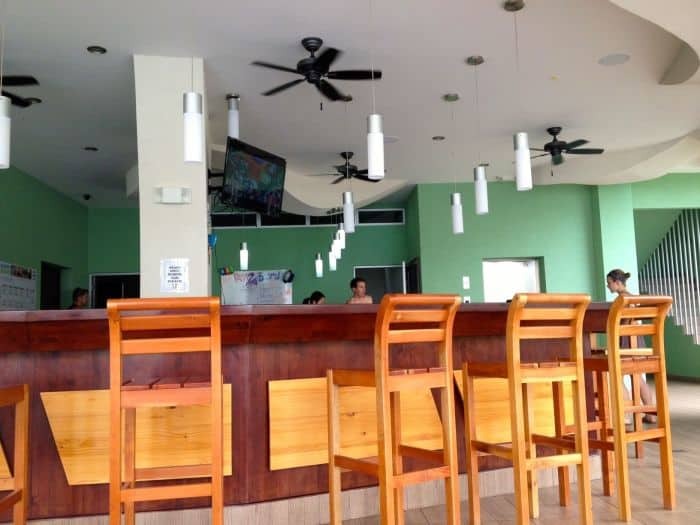 To make things easier, tell a taxi driver that Room2Board is “behind Bahia Azul.” For more information, call 2643-4949 (Costa Rica) or 323-315-0012 (U.S.), or visit www.room2board.com.